“Nevertheless a broad and necessarily summary comparison between the novel and previous literary forms reveals an important difference: Defoe and Richardson are the first great writers in our literature who did not take their plots of mythology, history, legend or previous literature. In this they differ from Chaucer, Spenser, Shakespeare and Milton, for instance, who like the writers of Greece and Rome, habitually used traditional plots” (Watt, 14). Here, we see that authors like Defoe, are essentially the forerunners of the novel as a genre, as, he was one of the first of his time to place significance and value on originality and individuality rather than the traditional or typical plots woven throughout the history of most of the early texts in the Western world. Novelists like Defoe used literature in such a way that “most fully reflect[ed] this individualist and innovating reorientation,” as, many previous literary forms were based solely on either past history, myths, and/or religious matters. Northrop Frye also contributes to the conversation in trying to define what exactly makes a typical novel the “typical novel” and illustrates this through comparing Jane Austen and Wuthering Heights, in an effort to separate the novel from what he calls the “miscellaneous heap of prose works now covered by that term” (Frye, 6). Northrop Frye claims that the “essential difference between the novel and romance lies in the conception of characterization” and that “the romancer does not attempt to create ‘real people’ so much as stylized figures which expand into psychological archetypes” (Frye, 6). Bronte’s Wuthering Heights is a prime example of the typical conventions of the romance genre as opposed to the novel. In contrast, he asserts that the novelist, “deals with personality, with characters wearing their personae or social masks” and that he (or she) “needs the framework of a stable society” (Frye, 6)– much like what we see through the eyes of Esther Summerson, the protagonist in Dickens’ novel, Bleak House. 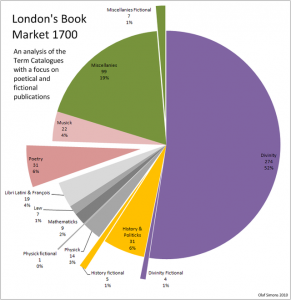 While the stories and characters within the novel may be fictional, most of Dickens’ works fit very well within the conceptual model of the novel as he often creates a fictional approach to history in his works. Unlike others of his time, Dickens invests what Frye refers to as a “chief interest in human character as it manifests itself in society” (Frye, 7) and this, as a result distinguishes literature being written and viewed through this lens and why it was perhaps so infectious in its appeal beginning in the 19th century to modern day. It is also interesting to note that the word novel comes from the word “nuvel” meaning new in French, and that in its beginnings, the novel served as a platform to disseminate information and/or news. 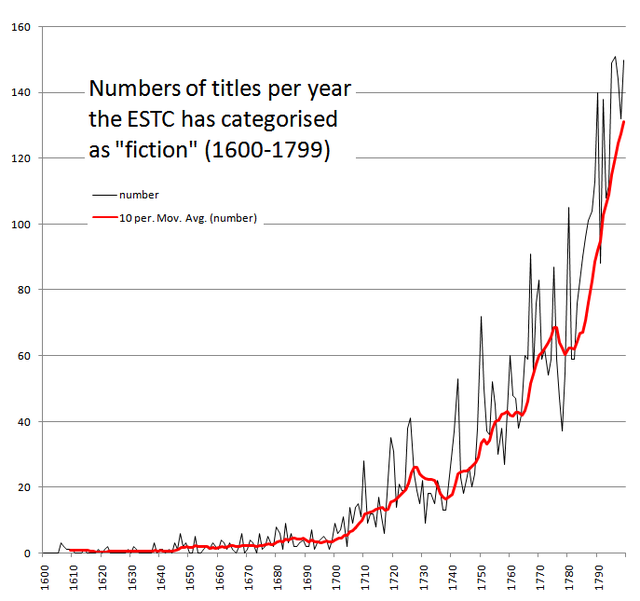 The yearly output of fiction in English. 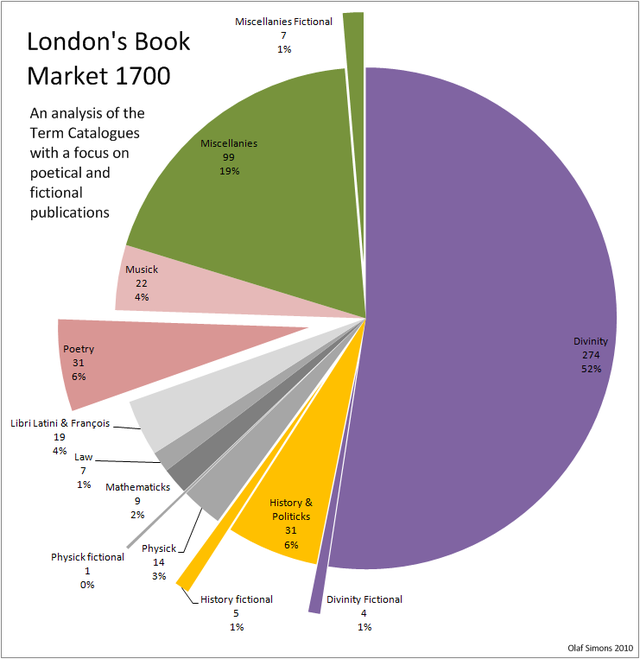 London’s book market 1700, distribution of titles according to Term Catalogue data. The poetical and fictional production does not have a unified place yet. #1. How does Bleak House fulfill its purpose as a novel according to Frye and/or Claybough? #2. (If the class is alright with going back to Oliver Twist) How does Claybaugh’s theory of Dickens’ purpose for writing present itself in OT and Bleak House? Explain whether or not you believe there are differences in Dickens’ writing that convey Claybaugh’s idea of Dickens’ self-perceived transformation from informer to reformist. This entry was posted in Uncategorized on October 22, 2014 by Audrey Buechel. Group 1 argues that Dickens changed his method of activism between Oliver Twist and Bleak House, moving from an informer in the first novel to a reformer in the second. We say that Dickens is without a doubt an informer for both Oliver Twist and Bleak House, and even though reform followed both of these works, Dickens himself did not cross the line between informer and reformist. With his very politically charged themes in these two novels, he made an obvious effort to shed light on important issues. He showed that the poor houses and the court system both needed change, and his books were so widespread that his messages were carried. Dickens is an informer because his popularity allowed him to inform hundreds of thousands of people about the things he believed needed reform. There is an incredibly fine line between informer and reformist, but we believe that he never crossed that line. His political messages are so strong that he definitely comes very close, but he never actually takes the last steps to become a reformer. Dickens points out the things in the systems that are flawed, but he never offers solutions or alternate systems. If he were a true reformer, Dickens would have proposed some alternatives, or even solutions, in order to show how the system should be changed exactly. He does speak very harshly about the chancery system in Bleak House: He says “it’s being ground to bits in a slow mill; it’s being roasted at a slow fire; it’s being stung to death by single bees; it’s being drowned by drops; it’s going mad by grains” (53). But he does not offer another system to use. With the resources from his books and his popularity, Dickens could have easily set up foundations and organized protests in order to put into action the reform he wanted. But he never takes this step, showing that informing the public of the flaws in the system are his true goals. However, we do concede that Dickens takes the role of informer to the extreme, coming very close to a reformer, with his use of emotion in his novels. He does obviously appeal to his readers in a way that could possibly make them incite reform, and he does this by stirring up the readers’ emotions. That is how he lingers in the limbo between informer and reformer, but never quite crosses the line. Group 3 claims that Dickens comes close, but never quite crosses the line from informer to reformer. We have to disagree. We believe that there isn’t a requirement of providing a solution to an issue to be considered a reformer. Simply depicting a problem through writing and making it clear that change is needed is enough. One example of this is in Oliver Twist, when Dickens briefly switches his narration to address the audience directly: “There is only one thing I should like better; and that would be to see the Philosopher making the same sort of meal himself, with the same relish” (Dickens 41). Dickens is speaking to the reader as himself, and therefore voicing what he believes in an attempt to help others see the same perspective. Specific solutions to these issues seldom come from one singular mind. It is much more likely to be molded by combining a number of ideas. The words written in novels like Oliver Twist and Bleak House have a heavy influence on their audiences, and therefore have the power to inspire the action of reformation in great numbers. The fact that this makes such an impact is enough to categorize Dickens as a reformer. Oliver is making the relatively simple request for more food, but the precedent was so ingrained in the workhouse that the boys would be given small quantities of gruel and would silently accept it, that Oliver asking for more shook the hierarchy of the workhouse to its core. Such conditions are not portrayed through Dickens’ writing simply as a reality that the populace should be forced to accept, but rather as something that clearly needs to be changed and resolved. If such a simple question addressing base needs is completely unheard of in the workhouse, that is indicative of a true problem that requires active reform. In this relatively short phrase, Dickens characterizes both the man taking care of Oliver at this time as well as the person with judicial authority who is responsible for the fate of Oliver’s life. His scathing depiction of both of these characters marks just how strongly he feels about the issues inherent in the Victorian court system, and how responsibility is allocated remarkably poorly. His use of harsh language makes it very apparent that he is not writing in the mindset of a passive observer: clearly, Dickens wants something to change. Dickens also personally faced issues with the courts in terms of copyright laws early on in his career, and as a result had personal motivation to write a novel based on the need for active reform. His publishing was put on hold due to the slow court process, and Bleak House came about as a novel motivated mainly by Dickens’ perceived need for a major overhaul of the court system. Not only is Dickens aware of the injustices being faced by society, he was personally subjected to them. This is further evidence that Dickens is working for some real and tangible change within his writing. Concerning what Dickens’ writing qualifies as, Group 5 asserts that it represents the work of a full reformer, not just an informer. While we agree that Dickens was dedicated to reformist causes during his life, we disagree that can be said of his writing style: rather, he is a particularly sentimental informer. Certainly in his personal life Dickens was dedicated to reform movements: his vocal opposition to institutions such as the workhouses or poor sanitation was noteworthy, as was his support of various organizations to aid the poor or disadvantaged. However, we argue that this does not necessarily mean the voice he used in his writing was a reformist one: instead, we feel that he used his novels as a chance to show what the problems of society were without calling for specific changes. This is not to say that there is no trance of reformist-leaning in his work – far from it – but we do feel that it is, for the most part, dedicated to presenting the issue so that others decide how to approach it. Dickens did not seek to alienate a wide group of his audience by demanding certain things, but rather presented what problems existed and used a sentimental narrative to sway his readers into making their own decision. Claybaugh was correct in saying that Dickens’ writing grew increasingly political in nature as his popularity and influence grew, but although his early novels were not as forward in their political statements, we argue his earlier works, such as Oliver Twist, were in fact political in nature. Dickens didn’t really hold back in his opposition to the workhouses and Poor Laws: the authority figures of the novel were either unrealistically mean spirited (i.e., their over-the-top reaction to Oliver’s plea for more food) or ignorant (i.e., Bumble’s belief that Oliver was acting up because he was fed too well). Despite the social commentary, however, it is clear that the hardships of the poor were meant to serve as a backdrop for the story, and that readers were ultimately meant to be more invested with Oliver’s survival in the slums rather than the circumstances that put him there in the first place. Dickens underestimated himself and the potential of his influence; as such, Oliver Twist focuses on characterization and plot more than social commentary, unlike Bleak House which is a drier story and blatantly making a statement about the legal system. However, it is too presumptuous to say that he wrote earlier works such as Oliver Twist with only the intention of exposing the issue and no desire to see it reformed or scrutinized more heavily by the public eye. Group four observes that, “despite the social commentary, however, it is clear that the hardships of the poor were meant to serve as a backdrop for the story, and that readers were ultimately meant to be more invested with Oliver’s survival in the slums rather than the circumstances that put him there in the first place,” to show that Dickens was not attempting reform when he wrote Oliver Twist, but rather using a social problem as flavor for a story that is solely about an orphan boy. We argue that the distinction between Oliver and “the poor” is, in essence, a fallacious one as the two are one and the same. Throughout the novel with which he shares a name, Oliver serves as a representation of the various facets of the group colloquially referred to as the poor: he begins life in a workhouse, lives on the streets, and resorts to thievery while constantly running into characters who personify aspects of lower-income society. The argument could be made that Oliver cannot represent the poor because of his secret wealthy parentage. Rather than disproving our point, this serves to reinforce it. Just as Oliver is representative of the poor, his late father stands in as an avatar for the wealthier members of society. Like Oliver, the Victorian poor were a byproduct (child, if you will) of their contemporary society. By including a father whose wealth ended up providing for the destitute Oliver, Dickens is making the point that the upper classes have a responsibility to look after even poor members of society. This may not be an overt call to reform, but Dickens’ symbolism is an unequivocal call to change society nonetheless. Group 1, echoing the ideas of Claybaugh, proposes that Dickens did not initially set out to reform with his writing; rather, Dickens, beginning with melodramatic and comic narratives, gradually realized his effect on public opinion and focused on reformation in his later works. We agree that Dickens did not have reformation at the forefront of his early novels. However, the satire of novels such as Oliver Twist depict Dickens nascent reformist efforts that come to the fore in his later works such as Bleak House. Although we began our discussion of Oliver Twist with regard to the Poor Law Act, Dickens’ criticism of the workhouses takes a back seat to what he saw as the purpose of the novel: “to show [thieves] as they really are” (Norton 4). While Dickens satirizes the workhouses, few and far between are the scenes with the inept Bumble compared to the consistent (melo)drama of Oliver, Fagin, Sikes, and Nancy’s narratives. Dickens even goes so far as to concede, “although I am not disposed to maintain that the being born in a workhouse, is in itself the most fortunate and enviable circumstance that can possibly befal a human being, I do mean to say that in this particular instance, it was the best thing for Oliver Twist that could by possibility have occurred” (17). During the 15 years between the publication of Oliver Twist and Bleak House, Dickens gained confidence and awareness in and of his novels’ reformative power. As a result, his criticisms of flawed institutions, such as the Court of Chancery, became more direct. Whereas Dickens implied most of his criticism of the workhouse in Oliver Twist, seldom showing the institution itself, Bleak House scrutinizes the Court of Chancery by taking the reader into it. Unlike with the workhouse, Dickens shows the machinations of the Court and comments on its “the groping and floundering condition” in real time (BH 6). 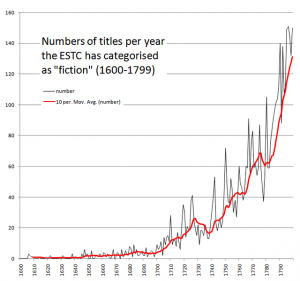 The novels’ first chapters alone speak to Dickens concern with the institutions in question. Whereas Oliver Twists first chapter is called “Treats of the place where Oliver Twists was born; and of the circumstances attending his birth,” the first chapter of Bleak House is “In Chancery.” The workhouse is secondary to Olivers narrative, but the Court is the first real “character” Dickens introduces in Bleak House. Group 6 provided an analysis very similar to our group’s analysis of Claybaugh’s theory; we agree with the idea that the presentation on the 1834 Poor Law and social class (coincidentally, our presentation) swayed the class’ understanding of Dickens as a reformist author from the beginning of his career. You highlight one of Claybaugh’s main points when you mention Dickens’ “nascent reformist efforts that come to the fore in his later works;” Claybaugh asserts that Dickens is more straightforwardly reformist in his later works, while the expository nature of his earlier works hints at an impending reformist agenda. We agree with your argument about the difference in the tone of the chapter titles, which parallels our argument that Dickens’ language transforms from heavily satiristic to unforgivingly dry and condemning. This shift is most effectively demonstrated by Dickens himself, when he writes about his personal interactions with the judge in the Court of Chancery: “This seemed to me too profound a joke to be inserted in the body of this book” (Dickens Preface, 8). Once Dickens realized the weight of his words, he moved away from highlighting society’s injustices merely as “jokes,” focusing on their “comic” and absurd nature in an effort to expose their depravity to the public. Rather, he began to clearly convey his disgust with the ills of society and driving their reformation, which can been seen through his “direct criticisms” of the court system, as you mention. In addition, Dickens demonstrates a greater sense of self-awareness when he mentions the degree to which he researched before writing Bleak House: “I do not wilfully or negligently mislead my readers and before I wrote that description I took pains to investigate the subject” (Preface, 9). This statement clearly conveys that Dickens comprehends his ability to impact his readers, and the “pains” he took to research the likelihood of the novel’s events connotes the careful planning with which Dickens created this novel, as its purpose to reform can only be enacted by his readers’ understanding and acceptance of his message. In our presentation, we reference the work of Claybaugh. Her assessment of Dickens suggests that over the years, his narrative intent undergoes some change. Claybaugh asserts that after observing the real-world effects that his descriptions were able to have in Nicholas Nickleby, Dickens begins to use his narrative to intentionally inspire change. He not only seeks to describe with his writing, but also to reform. Group one agrees with this assessment, and believes that the best way to demonstrate this change is by comparing the more contemporary Bleak House to an earlier novel, Oliver Twist. Dickens references the workhouses, but he is not providing critique. Rather, he is describing the nature of the workhouse as it pertains to Oliver specifically. Were Dickens making an attempt at reform, he would likely do the opposite and neglect to mention Oliver’s special relationship with the workhouse. Furthermore, Dickens does not spend a large amount of time in Oliver Twist speaking about workhouses past their role as a a setting. Instead, he mentions them in passing. The workhouses themselves are not central to the plot in the same way that Oliver is. This could not be more different from Bleak House, where the Chancery Court and it’s problems are described at length. “Some score of members of the High Court of Chancery […] are mistily engaged in one of the ten thousand stages of an endless cause, tripping one another up on slippery precedents, groping knee-deep in technicalities, running their goat-hair and horse-hair warded heads against walls of words, and making a pretence of equity with serious faces, as players might” (Dickens, 6). This passage s a clear, direct attack on the Chancery Court system. This narrator is unforgiving and aggressive in it’s description. There is also no connection back to a character as they relate to the Court system. As Claybaugh points out, Dickens is trying to accomplish something here that goes beyond the page. With all of this is mind, our group feels comfortable agreeing with Claybaugh’s assessment of Dickens reform strategy. By comparing an early work like Oliver Twist to a later work like Bleak House, it is easy to see the shift both in narrative style and intent. While Dickens still exposes sociopolitical issues in Oliver Twist, it is likely that his language would have been more assertive then had he truly been working within a reformist agenda. While our posts are similar and we agree with Group 1 when they say that Claybaugh’s assessment of Charles Dickens is accurate, we would also like to provide further evidence to the argument. Similar to Oliver Twist, Dickens uses the plight of young children and their struggles at the bottom of the stratified social hierarchy as a device to grab the reader’s attention. Jo the Street urchin, who has been shunned from society after testifying for the dead lodger, has to provide for himself and roam the streets at night searching for food. In Chapter 15 we are introduced to the Neckett children for the first time when Dickens describes “a poor room with a sloping ceiling and containing very little furniture was a mite of a boy, some five or six years old, nursing and hushing a heavy child of eighteen months. There was no fire, though the weather was cold; both children were wrapped in some poor shawls and tippets as a substitute.” The orphaned Neckett children in the care of Mr. Gridley aren’t much better off than Jo, with most of the responsibility falling on Charlotte to take care of the her younger siblings. Similar to Oliver, Monks, Dodger and the other orphaned children in Oliver Twist, the orphans in Bleak House are genuinely distressed and forgotten members of society. And, while Dickens often addressed this issue with sarcasm in Oliver Twist making remarks to the “sage philosophers”, he directly addresses those responsible in Bleak House with great disdain. He is not writing about an issue he has recognized but rather an issue that other must recognize and be held responsible for. Group 1 provided a great quote on page 6 describing Dickens doing exactly this. Another quote we found that addressed those involved in the trial was in Chapter 1 when Dickens writes “How many people out of the suit Jarndyce and Jarndyce has stretched forth its unwholesome hand to spoil and corrupt would be a very wide question.” Like we mentioned in our original post, during the 15 years between the publication of Oliver Twist and Bleak House, Dickens gained confidence and awareness in and of his novels’ reformative power. As a result, his criticisms of flawed institutions, such as the Court of Chancery, became more direct, thus resulting in passages like those mentioned above. Claybaugh claims that Dickens did not view himself as a ‘reformer’ when constructing Oliver Twist (i.e. he did not set out with the intention of writing Oliver Twist with political, social, or religious commentary for the purpose of enacting change). Claybaugh continues, that by the time Bleak House was released Dickens had adopted the title of reformer, and in doing so intentionally constructed Bleak House to incite the masses to push for legal reform. We do not wish to confirm or deny Claybaugh’s claim about Dickens’ intentions because we disagree with the implied significance of this matter. In other words we do not think it matters whether or not Dickens viewed himself as a reformer because the finished products contain rhetorical devices which call for change regardless. Consider the narrator’s voice in OT, which relies heavily on pathos; it is expressive, and depicts a romanticized, emotive perspective. In Oliver Twist, pathos would function to compel readers to consider the reformist argument. We can see this colorful voice even in the first few pages of OT, in the way the narrator describes the manner of Oliver’s birth, and his altercation with death. The bleak beginning to Oliver’s life in the workhouse system is contrasted in that instance with a comedic outlook on death and circumstance. Bleak House on the other hand has a much more restrained and objective narrator who uses logos to evaluate ethical issues. W.J. Harvey, in his criticism “The Double Narrative of Bleak House”, demonstrates the differences between the two narrative voices in Bleak House. Esther’s narrative voice is somewhat flat, and according to Harvey, suppresses Dickens’ own typically colorful (or pathetic) voice, “controlling the runaway tendency of Dickens’ imagination.” When the reader first meets Esther in chapter III, it becomes clear that her voice is suppressive in relation to Dickens’s, because Esther claims she is not clever. Bleak House also employs a third person omniscient narrator, which uses logos to establish a voice that reads more like a documentary, and plays to the reader’s reason. Richard seeks marriage to Ada, but before he can, he must find a way to support her. To that end, he is relying on the case Jarndyce and Jarndyce to close, and thus he would receive a large sum of money. The trouble for Richard is that as the case is ongoing, he cannot choose another job to obtain. He is impatient, and seems to want to ‘play the game’ in the court system and ideally strike big, rather than sack up and build a career. He is seeking the easy way out, but the court is stymieing Richard. Clearly the gears of justice turn slowly. Dickens acts as a prosecutor in his own writing, presenting evidence in the form of plot, and allowing the jury, (his readers), to pass judgement on the broken legal machine. Rather than relying on an emotional argument which provides the reader with a stance to adopt, Dickens presents his audience with a logical problem to solve, their solution: reform the court system. It would seem most important then to look at the text to derive this reformist attitude, rather than guessing at authorial intention, which we have no way of knowing for certain. While we agree with Group 2 in that both stories contain rhetorical devices that call for change, regardless of whether Dickens intended to be a reformer or not, it does make a difference in that there are tangible differences in tone between early works such as Oliver Twist and later works such as Bleak House. In Oliver Twist, Dickens focuses primarily on characterization and plot, and though he does include opinions on workhouses and the Poor Laws through his satirical voice, this was not his primary intention. This is in stark contrast to Bleak House, in which the language is much drier and the Victorian legal system–and his criticism of said system– serves as the primary focus of the novel. Bleak House prefers to focus on the logical problem/solution aspect of the conflict rather than character as was the case in Oliver Twist. Therefore, while we agree that reformist qualities are present in both works, we would argue that it is still important to consider whether or not Dickens intended for these qualities to appear as strongly as they did.